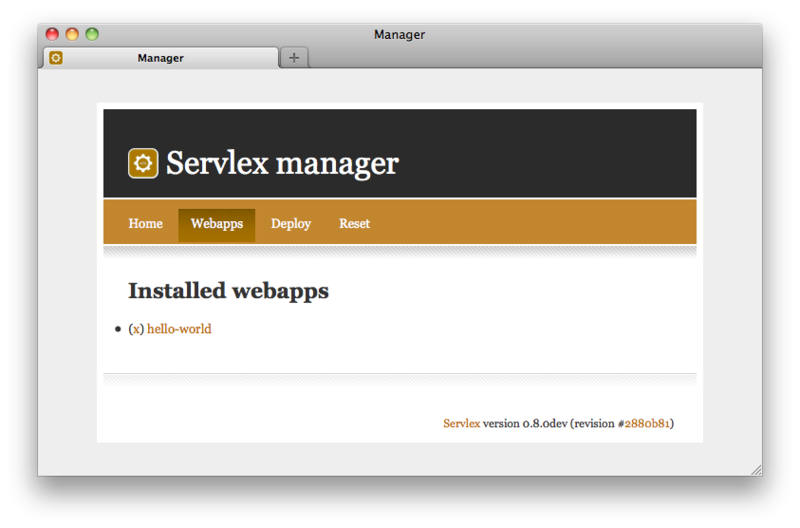 Servlex is a framework to write web applications and REST services on the server side. It implements the EXPath specification for "Web Applications". It is maintained on GitHub. See Install and Config for documentation. You can use the dump tool provided by H2O Consulting to display the XML representation of the HTTP request which is sent to the XSLT, XQuery and/or XProc components in a web application. Servlex is used to run CXAN (as well as its Sandbox), the sources of which are available on GitHub. The EXPath website runs on Servlex too (see the sources). H2O Consulting website runs on Servlex as well.